The Bright Side, Meiko's second solo release and Fantasy Records/Concord debut, is an intimate, fearless song–cycle about risk, regret, tenderness and love. Her indelible melodies and sharp lyrical viewpoint give The Bright Side a powerful, artistic punch. It features eleven songs that blend sumptuous folk–pop with thumping electronic beats that Meiko helped create with producers Jimmy Messer, Greg Collins and Belgian electro–pop wiz Styrofoam, known for his remixes of songs by The Postal Service and The Submarines. "The new songs were all born on the guitar, but I wanted to make this record a little more lively," she says. "We played around with beats and came up with something that people could move to. There is more color, layers and texture this time around — acoustic guitars, piano, strings, horns and background harmonies." 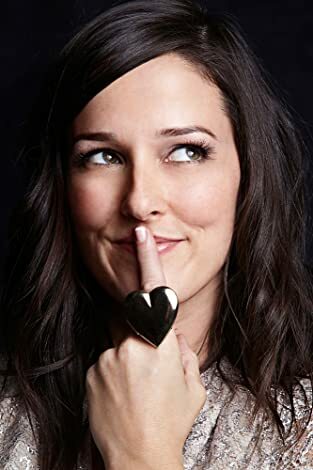 Growing up in Roberta, Georgia — population: 800, with its rich assortment of eccentric characters, southern wit and teenage isolation, helped rising singer/songwriter Meiko find a clear voice and keen insight. She’s built an already impressive following, quickly becoming one of the west coast’s most enchanting and promising talents. The Bright Side, Meiko’s second solo release and Fantasy Records/Concord debut, is an intimate, fearless song–cycle about risk, regret, tenderness and love. Her indelible melodies and sharp lyrical viewpoint give The Bright Side a powerful, artistic punch. Thumping beneath the mix are electronic beats that she helped create with her three producers, including Belgian electro–pop wiz Styrofoam, known for his remixes of songs by The Postal Service and The Submarines. Meiko, whose name (pronounced MEE-KO) is derived from her one–fourth Japanese heritage, filled her first album with songs about heartache and rocky relationships; a broken heart can be great for songwriting. The album’s coffeehouse folk–pop was largely sad–eyed and blue, recounting the story of a 20–something girl trying to find someone, anyone, to spend her days and nights with. 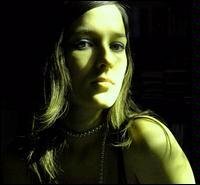 After attending college for one semester, Meiko left Georgia and moved to Los Angeles in 2001, where it took her five years to summon up the courage to play her first official show. And what a show it was. Her music didn’t fall on deaf ears for long. By 2007, while bartending at the Hotel Cafe, ground zero for the new wave of young, folksy songwriters, Meiko finally landed a coveted opening slot. From there she gigged relentlessly, performing wherever and whenever she could, eventually becoming the artist to see at the popular club and at venues around town. The self–released first album arrived that year later reissued by MySpace Records — making sure to include “Boys With Girlfriends,” a new song that quickly became a Top 15 hit at Triple A radio in 2008. Heavy airplay at stations like KCRW, Santa Monica’s influential NPR powerhouse, led more notice and glowing press. The high profile exposure also caught the ear of key music supervisors, which led to song placements in many television shows and films, including Grey’s Anatomy, One Tree Hill, Pretty Little Liars and 10 Things I Hate About You among others. “I toured pretty much all the time from 2007 through 2009,” she remembers; listing European tours with Hanson, solo headlining dates across America and late-night TV appearances on Conan O’Brien and Carson Daly. Along the way, she wrote dozens of songs for the new album and work–shopped them in front of live audiences, making sure they could withstand a high level of scrutiny; both hers and theirs. It’s a long way from Roberta, Georgia, and Meiko’s long path hasn’t always been easy. But maybe that’s the point. The journey’s magnificent mess is what makes life so interesting, and Meiko superbly chronicles the beautiful, roller–coaster trip on The Bright Side.